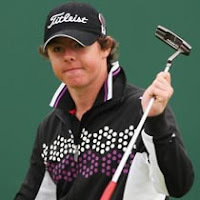 Irish teen sensation, Rory McIlroy, had a rougher second round than first round. Nonetheless, the 18 year old will still accomplish his goal. He wanted to win the Silver Medal at The Open Championship which is awarded to the best amateur contender. Five amateurs started the event. McIlroy will be the only one to make the cut thus guaranteeing he will be at the trophy presentation on Sunday. He was followed by an audience that included his girlfriend, his parents, 70-odd members of his golf club, hundreds of spectators and television cameras. He recorded a bogey-free first round of 68 and a second round 76. McIlroy admitted he did not really feel nervous. He just felt the adrenaline that comes with accomplishing something very few in the world ever do. 0 Response to "McIlroy to win Silver Medal"